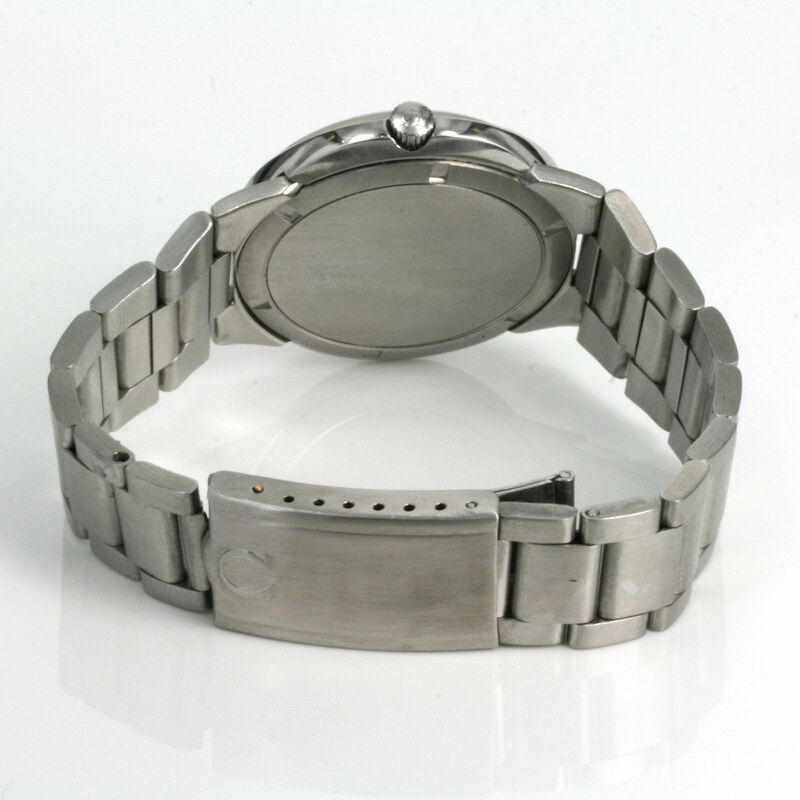 Product code: P967 Categories: Sold Items, Sold Omega Watches. Omega are one of the most well known watch companies in the world and not only make superb watches but have always changed their style and design depending on the era, and here is a fantastic looking Omega Geneve Dynamic watch with the date. The Omega Dynamic was first introduced by Omega in 1968 and is famous for the integrated bands connected to the case that came in either leather or stainless steel such as here. This particular Omega Dynamic was made in 1972 and is in such superb condition. 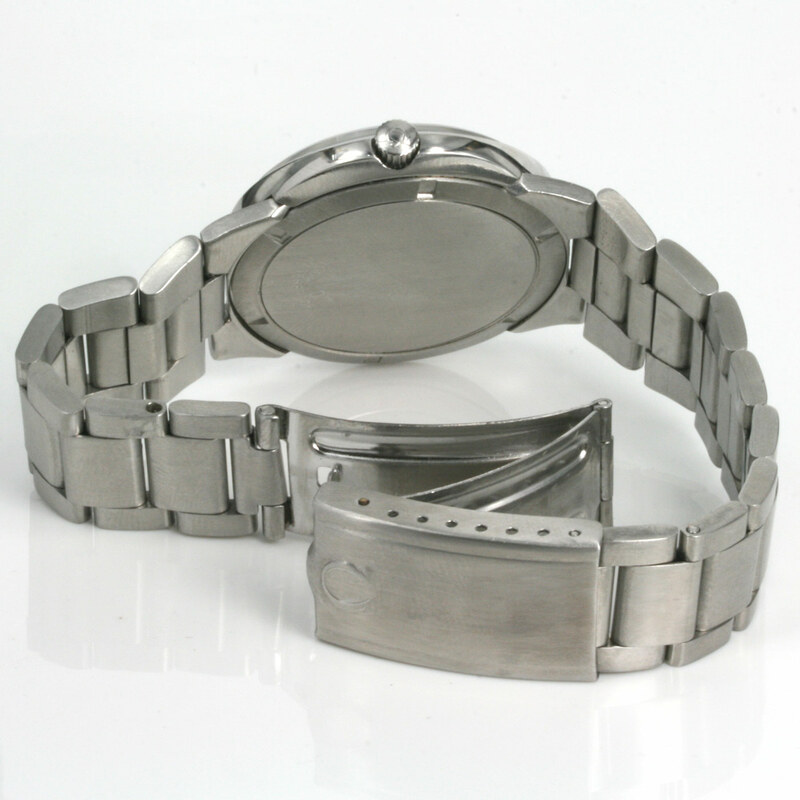 The stainless steel case still has its original radial finish on the case which is so often polished off or has simply worn off over the years, whereas this one has had such little wear and is still in great condition as is the band itself. The oval shaped case itself measures 41.2mm across plus the Omega crown and from the 1970’s has the look that many watch companies today are trying to reproduce. With the fabulous dial with the two tones of grey highlighting the red index markers and red centre sweep seconds, this Omega Dynamic also has the distinct advantage of having the date function as well. Inside is a fully 24 jewelled automatic movement that has just come back from a full service, runs great and comes with our 12 month warranty.